Has your venue got a content marketing strategy? If you don’t have one I highly recommend reading our case study on the power of content marketing for venues. After reading how a venue, with a single bit of content, achieved a revenue that in its strongest month of the campaign was 50% over forecast you might want to read on. This article looks at the reasons for a venue to do content marketing and provides advice on how to create marketing content for venues that will get results. ‘Content marketing is the marketing and business process for creating and distributing relevant and valuable content to attract, acquire, and engage a clearly defined and understood target audience – with the objective of driving profitable customer action’. Put simply, it’s bait. It’s something that attracts attention and gets people on the hook of your brand. But there’s more to content than simply attracting attention, most importantly you want attention from the right people for the right reasons and you want them to consider your brand in a higher regard after consuming your content. Why use content in marketing? It lasts forever (well almost): You’ve probably heard the term ‘evergreen content’, it’s content that’s always fresh and relevant. In the events industry trends change but not as fast as other industries so an advice guide for performing a risk assessment for an exhibition (great content piece if you sell exhibition space) will be just as relevant in two years as it is today. That means you can recycle it after a period of time has passed and re-run the campaign or you can batch together the best-performing content pieces in the last year for a round up email (tip: in your round up email have different topics and record what topic they click on, if they click on a piece about exhibitions you’ve qualified them for exhibition space, if they click on a piece for private dining, you’ve qualified them as interested in private dining. A good CRM linked to your EMSP (email marketing service provider) will automatically capture this information and begin categorising your contacts based on interest groups). I know a venue that for over a year has been organically (through search engines) attracting around 40 – 60 new visitors to their website a month with a single piece of content (they actually have loads of different types all attracting different amounts (and different types) of new users every month). From one piece of content that’s potentially 40 – 60 new prospects in your marketing funnel every month without even trying. I know the bounce rate on that page for the last year has been 60% so that means in the past year somewhere between 192 to 288 new prospects have gone on to navigate around their website. Can you imagine how much money and time you’d have to spend going to events to meet 192 people who seriously want to learn more about your venue? Now you know the benefits of content marketing you can turn those benefits into goals for your content and those goals are your content brief. Here are some goals to get you started, apply them to your product and market and you’ll have your first content brief ready. Great content gets great results but bad content does more harm than good. Remember that for many this is the first introduction to your brand and you are being judged. Sloppy copy might be perceived as sloppy service, poor industry knowledge may translate to poor product offering, boring content might mean people consider your brand boring and the wrong content will attract the wrong people. If you want to test your content ideas and gauge how successful they may be I recommend opening a free account with Moz Content. 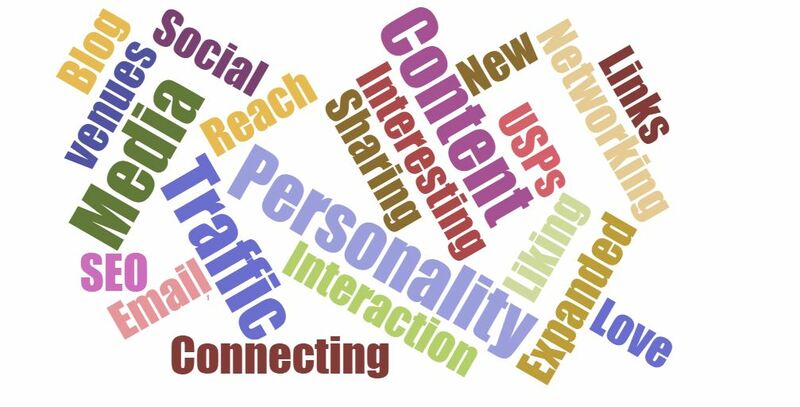 If you enter your content topics it will present all bits of content on the web in the past year (or 24 hours, week, month, or all time) and rank them by success in terms of reach, social shares, and back links built. You can even choose to filter by content type and medium. At Patch Media we look after marketing activity for venues and suppliers to the events industry. We cover everything from strategy creation, to providing an entirely outsourced marketing team, to managing a single channel. We devise, produce and implement content campaigns for a number of our clients not only advising the content topics and approach that will reach their goals but the best way to distribute the content for maximum impact. Our Content Director Beth Ivory is a seasoned events industry journalist and has an ability to come up with killer content ideas that get results. Our team of channel experts are an invaluable resource for advising what will work best on each channel and our events industry knowledge puts us in the best position to understand your market and the best ways to engage with it. Want to discuss content. Get in touch today by calling +44 (0) 20 7952 1740, emailing [email protected] or leaving a comment below.